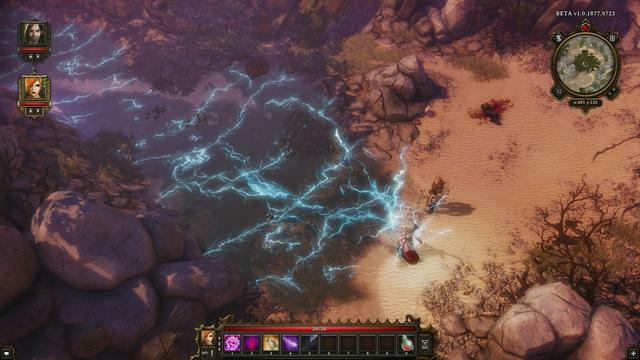 Divinity: Original Sin is a turn based RPG, developed and published by Larian Studios, released on February 28. 2014. It is available for PC and Mac. 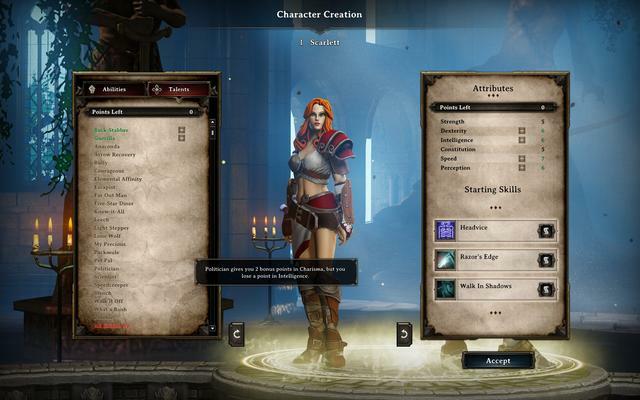 Starting up, you have so many choices on how to approach “Divinity: Original Sin”. 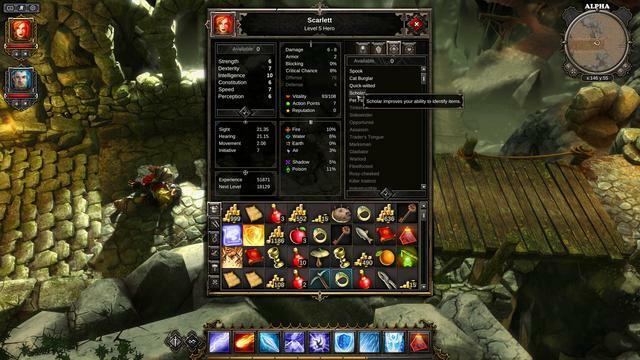 It is a comprehensive RPG and it has several strong points. But it is not all about involvement and endless wastes like in Bethesda’s games. It is more like the old classics from Interplay and Black Isle, super complex systems and game mechanics that may seem flashy on the surface, until you start digging and realize how creative you actually are allowed to be. 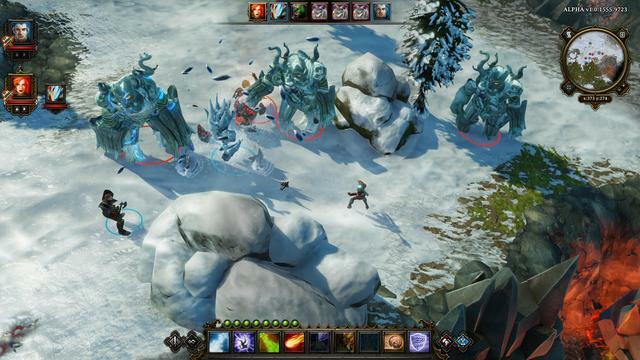 This game is all about focused strategy gameplay, and the interaction between natural elements and magic. You have an abundance of options to choose from, right in your backpack; the ingredients and parchments you pick up on your travels through this adventure. Larian knows how to use their own technology exceptionally well, and they have a really sharp eye for strategic game design. The entire game is full of moments where rules are bent to give you a different twist on a well known set of problems. There is of course a lot more. If you played RPG’s 15 years ago, you will recognize the adventure you are about to embark upon. The developers did not go out of their way to create originality. But it does not matter, because the identity lie in the system and the mechanics, so much more than in the generic, pastel colored fantasy picture they are painting. The interaction between systems is the most important factor in "Divinity". The boring list of fireballs and magic projectiles are transformed completely into tactical tools that affects the landscape and environment in so many ways. A fireball is not just the explosion of flames to take an enemy out. It leaves the ground smoking hot with embers glowing. You can’t walk there now, and neither can your enemy. Now you will have to change your plans, and your archer will waste his turn quickstepping out of the area. Your ability to create icicles have much the same effect. Yes, you can damage your enemies with them, but you can also divide the battleground, block that mad ogre for long enough for you to deal with its minions. So what you have, is the possibility to affect your surroundings in such a way that an overwhelming situation get more manageable. Experiment, make the battle unpredictable. A sea of fire and coal might be awesome, but completely useless when someone summons rain, or fires off an icy arrow to put it out. There are so many synergies here; fill a room with toxic gas, all it takes is one spark, and you have a fiery inferno of flames. The problem is to have everything you need ready, when such a situation arises. So, you need to have your brotherhood well put together, no room for random choices here. When circumstances change quickly, you have to be ready to take any opportunity to add some chaos, no matter if it is your knight or your wizards turn to battle. The differences between them is not huge, but you will see them evolve differently. Since all of them can pick up a sword or use a magic staff, it will let you fiddle around with options you at first ruled out. You will be forced to be creative in order to prevail. Long threads of planning, and sometimes unconventional solutions are the best way for you to go. Like filling your backpack with water barrels to make way for an electrical attack where it normally would not work. Or to use innocent teleportation magic to move your enemy over to a hazardous part of the map, the same magic you would normally use to transport your assassin out to flank your enemy. The fact that this game allows you to bite over more than you can chew, is an important part of the discipline this game forces upon you, to realize the impact your actions have on every aspect of the adventure. Create thunder and lightning while in the swamps, and you will feel the pain, no matter how much you planned to make it work. Bioware might brag about their awesome storyline, and all the choices you have to make an impact on your surroundings. Larian leaves the battlefield to paint the picture of your power to affect everything around you. Flakes of ice. Puddles of poisonous acid. Glowing embers. Bits and pieces of doors and doorways. Rivers of blood. Piles of dead bodies. The landscape is left behind as an image of all the heroic deeds done. 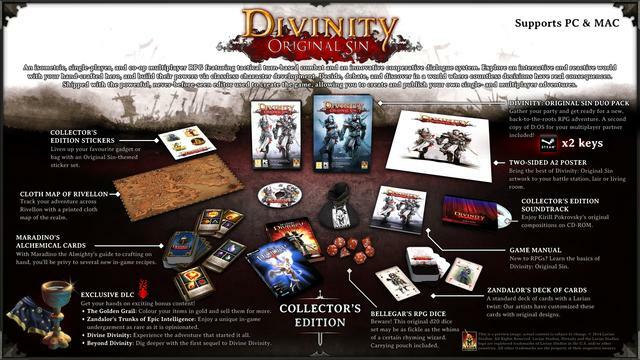 “Divinity” is emulating a very specific genre of RPG, that was popular around year 2000. It is modern and ancient at the same time. It is elegant, but also messy. The game is so colorful, but appears with no identity on the surface. The adventure is pure, but not really well balanced between the feeling you get and content provided. It will let you play with a friend, but the responsibilities are not evenly shared, and does not feel right. In other words, if you look closely, there are several flaws here. But, the end result is so complex, so completely satisfying all your senses. It makes it hard to nit pick. I choose to embrace it, enjoying the fact that “Divinity” is so true to its roots, while still giving us the explosive glam we expect from modern technology. If you like these kind of games, it will steal all your spare time. And then some.